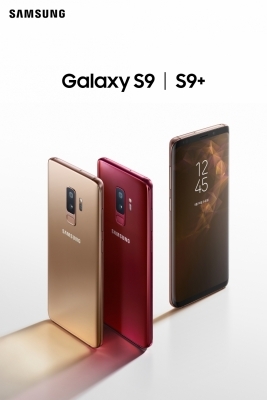 San Francisco, Feb 1 (IANS): Samsung has launched the latest version of Android 9 Pie on its Galaxy S9 and S9+ smartphones that come with a new user interface (UI) -- One UI -- in the US. This roll-out began in the US earlier this week, although the update started reaching European countries in December 2018, The Verge reported on Thursday. Although this latest update has come to Samsung's devices a lot more quickly than previous versions of Android did, the South Korean firm is still lagging behind Nokia, OnePlus and HTC with its update schedule. One UI, which is Samsung's latest take on Android 9 Pie, is specifically designed to make navigating on a massive screen easier. The South Korean company showcased One UI with -- a new visual flair, more rounded corners, splashes of colour across apps and redesigned icons -- at its developers conference in November. Other improvements in the new interface include a system-wide dark mode and larger "focus blocks" in apps like the gallery to reduce clutter and distractions, allowing users to focus and quickly navigate their phone. The US roll-out of Android 9 Pie on Galaxy S9 and S9+ has begun just days before Samsung's "Unpacked" event, scheduled to be held on February 20 in San Farncisco. Samsung is expected to discuss the Galaxy S10, S10+, a so-called "lite" version of the S10, its folding phone and potentially even a 5G phone at the event, the report added.